Whenever I think of Hyderabadi cuisine, I think of spicy food and remember the long chillies used in many dishes. I have elsewhere in this blog another dish using these chillies which you may like called "Mirchi Ka Salan." These go well with paired with biriyani/pulaos or rotis. We love spicy food so it was delight that I saw this recipe pointed out by my friend, Gayatri Praveen Kamath. 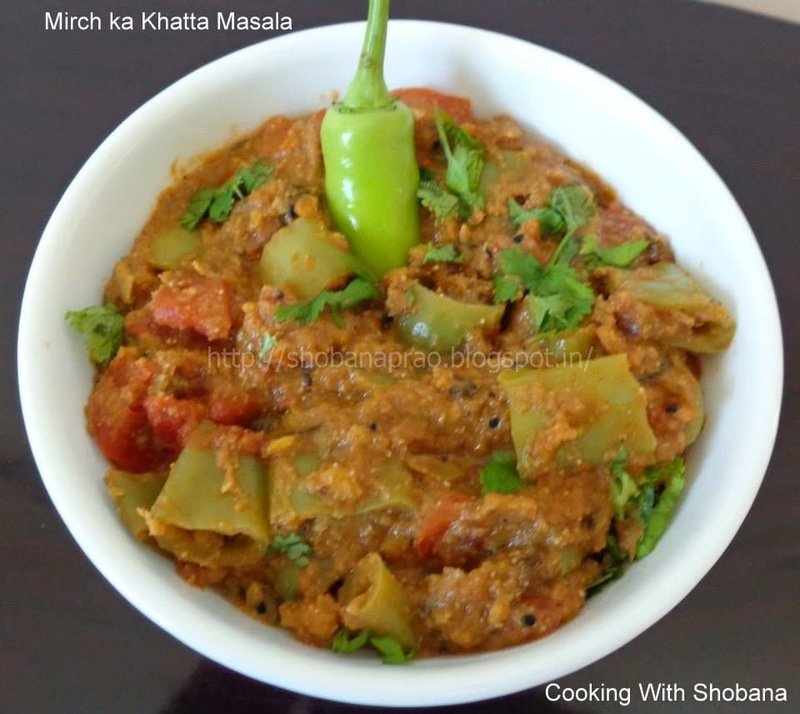 I have adapted this recipe for "Mirchi Khatta Masala" from Sailu's Kitchen. We love the long chillies used here. I have elsewhere in this blog another dish using these chillies which you may like called "Mirchi Ka Salan." Prepare a coarse paste from 1 cup of chopped onions. Keep aside. 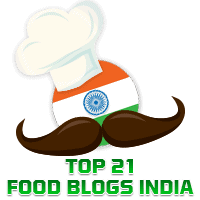 Prepare a paste from 2 tbsp of cooked Chana Dal. Keep aside. Wash and chop the Long Green Chillies into 2" pieces. Keep aside. In a pan, heat oil and add Caraway Seeds and Mint Leaves. Fry for a few seconds.